Wisconsin Home Loans- Fast Approval, Competitive Rates, Local Trusted and Experienced Mortgage Experts. Free Pre-Approval and Credit Check - Milwaukee Mortgage Home loans - 30 year fixed or adjustable FHA, VA, conventional, jumbo, home loans. ✔ Multiple Lenders so YOU get the best available rate. Welcome to Referral Mortgage #205292! Call today and talk to a mortgage expert one on one and get free advice on your home buying options or answer any real estate financial questions you may have! We offer Home loan and Mortgage services to all of Wisconsin including – Milwaukee, West Allis, Franklin, Greenfiled, New Berlin, Brookfield, Waukesha, Menomenee Falls, Green Bay, Madison and everywhere in between. Fill out our Free Pre-Approval form and find out what type of financing you qualify for. ARM (Adjustable Rate Mortgage) available and best choice if planning on being in home less than 10 years. ~ We use 17+ lenders unlike a bank which has access to only their mortgage department, ensuring you get the best program and rate availalbe to you. ~ Fast and free pre-approval. Once approved we close in under 30 days. In most cases we can close in a matter of days, not weeks. ~Trusted and Experienced. We have been helping Wisconsin residents into home ownership for over 18 years. Everything is laid out for you in an easy to read format so you know exactly what to expect. ~ We’re local. We know the people and area, and what you expect in a mortgage company. This is our community as well, and when you support local business, you are helping to support the backbone of our economy. We are a full service Mortgage Company that can help you with all your mortgage needs. Whether you are looking to purchase a new home, or you’re already a home owner and are looking to refinance we have a loan program for you. We have a full portfolio of mortgage programs so we are confident we can find one for you. Even if you’ve had trouble qualifying we are confident we can find a loan for you, if we can’t it probably doesn’t exist. Our office is located just west of Milwaukee in West Allis, most of our clients come from the greater Milwaukee area including the communities of Waukesha, Brookfield, West Bend but we can help anyone living in Wisconsin. Contact us and find out the advantage of working with a local company that understands what someone in Wisconsin is looking for, with the availability of any loan program for any client just like those huge nationwide companies. If you are looking to purchase a home, our home loan products fit any type of home buyer. It doesn’t matter if you are a 1st time home buyer or an experienced buyer looking to upgrade we can help. We do have conventional home loan products with some of the most competitive rates you’ll find. We also offer government insured loans like the FHA loan which is a great program for anyone but especially 1st time home buyers because of a down payment of just 3.5%. If you’ve served our country and are a Veteran then the VA home loan is something you should really consider. You can own a home for no money down. You won’t find an easier loan to qualify for and get you in a home. So if you are looking to purchase a home please use our Purchase Assistant and let us know what you are looking for. We will take that information and find you the perfect home loan. Already a home owner and you’re looking to take advantage of historically low mortgage rates? Now is definitely the time to refinance if you haven’t done so. Don’t let these record rates pass you by, lowering your rate lowers how much you have to pay each month, putting that money in your pocket. We offer conventional refinance programs along with government package programs. Just like the FHA and VA have purchase programs, they also have refinance programs. 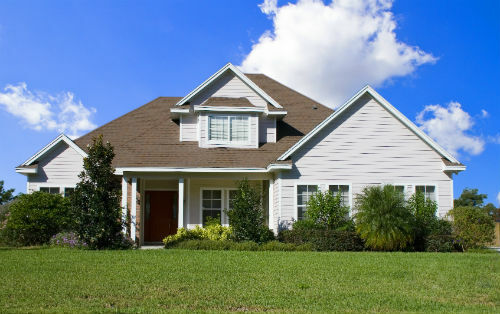 Both have a “Streamline” refinance program that makes it very easy to refinance with less time and cost. To see how much you could save please use our Refinance Advisor. or check out our Mortgage Calculator.